Jazz fans get very wistful when dreaming of scenes that were only captured in words: the twenty chorus solos young Lester would take; Louis on the riverboats; Lips Page singing and playing the blues at the Riviera. But the recording machine has been the time-traveler’s best friend. 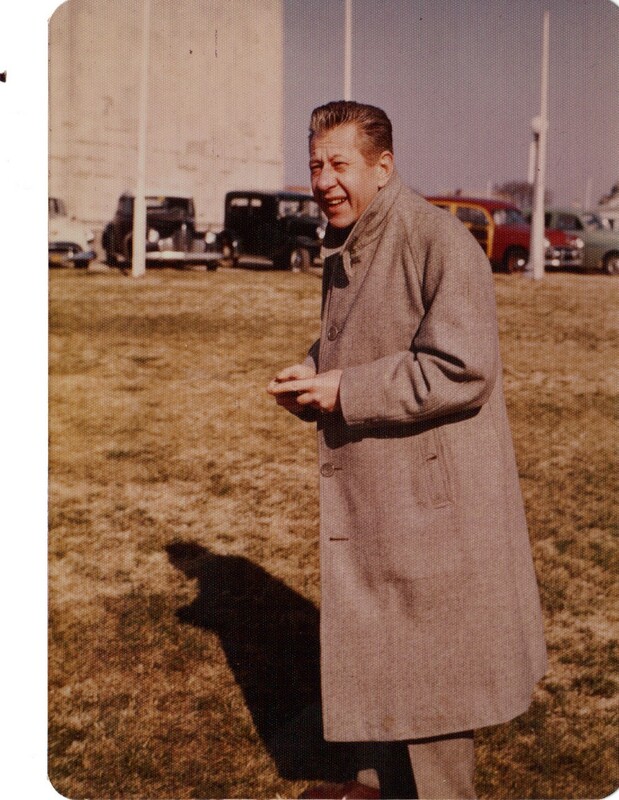 Because of a variety of electrical devices, we have been able to go uptown to hear Frank Newton and Art Tatum; we’ve heard Charlie Christian, Oscar Pettiford, and Jerry Jerome in Minneapolis; we can visit YouTube and hear Lester sing A LITTLE BIT SOUTH OF NORTH CAROLINA. This new issue, explained boldly by its cover picture, is one of those time-travel marvels. 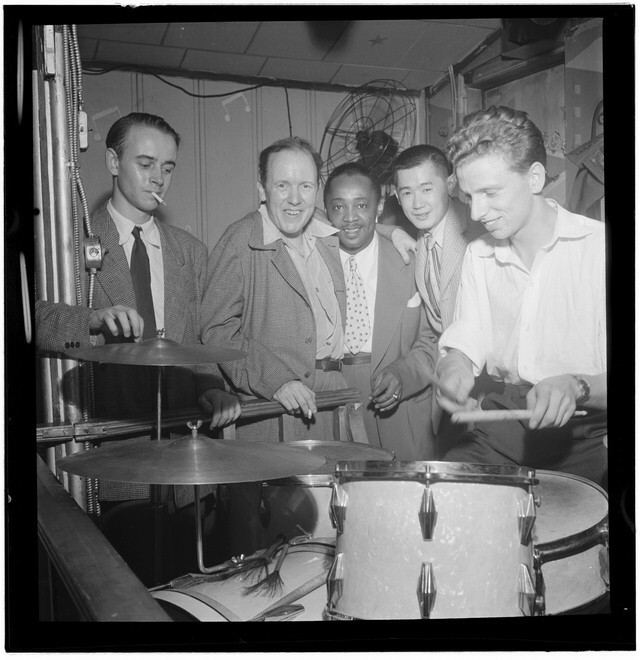 I was alive in 1952, but no one was taking me to the Embers to hear Joe Bushkin’s quartet with Buck Clayton, trumpet; Milt Hinton, string bass; Jo Jones, drums. But now — somewhat older, thanks to this beautifully-produced disc on the Dot Time Records label — I can visit that club and hear exalted music any time I want. This was a celebrated quartet, and for good reason. Buck and Jo were a fulfilling pair from around 1936 for perhaps forty years; Milt and Jo were also one of the most gratifying teams in the music. The three of them were at their peak in this period (although one could make a case that they were among the most consistently inventive musicians in Mainstream jazz). 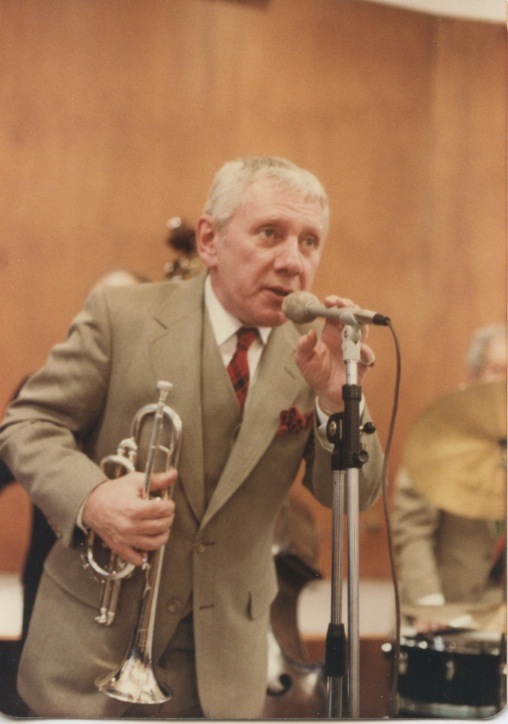 I’ve left the leader for last, because he’s rarely got the attention he deserved — although he certainly appeared with the greatest musicians: Bing, Billie, Louis, Lester, Bunny, Tommy Dorsey, Bobby Hackett, Lee Wiley, Eddie Condon . . . a Bushkin discography is astonishing. Musicians knew, admired, and valued him. But his glistening style has led some casual listeners to hear him shallowly, the vivid, mobile approach to the piano as a display of technique. But when one hears Bushkin closely, there is a real lyricism underneath the facility, and an equally deep love for the blues: in the ancient argot, he is a real barrelhouse player, even in a pricey Upper East Side supper club. featuring Wycliffe Gordon, Harry Allen, Eric Comstock, Ted Rosenthal, Spike Wilner, Nicki Parrott, Steve Johns and John Colliani, under the musical direction of Bob Merrill — and a surprise Guest as well. It will take place at 8 PM, on Thursday, May 4, at the Tribeca Performing Arts Center at Borough of Manhattan Community College, 199 Chambers Street, New York, NY 10007. One can purchase tickets by calling the box office [212-220-1460] or visiting www.tribecapac.org. Those who find the Post Office more consoling can mail a check made payable to highlights in Jazz for $50 per ticket (still a bargain, for those who have been to a club recently) to Highlights In Jazz, 7 Peter Cooper Road, Apt. 11E New York NY 10010. (Please enclose a self-addressed, stamped envelope). A concert celebrating Joe Bushkin will be fun. And the CD is a thorough pleasure.